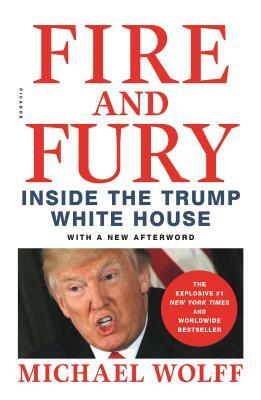 With extraordinary access to the West Wing, Michael Wolff reveals what happened behind-the-scenes in the first nine months of the most controversial presidency of our time in Fire and Fury: Inside the Trump White House. Since Donald Trump was sworn in as the 45th President of the United States, the country—and the world—has witnessed a stormy, outrageous, and absolutely mesmerizing presidential term that reflects the volatility and fierceness of the man elected Commander-in-Chief. Never before in history has a presidency so divided the American people. Brilliantly reported and astoundingly fresh, Fire and Fury shows us how and why Donald Trump has become the king of discord and disunion. Michael Wolff has received numerous awards for his work, including two National Magazine Awards. He has been a regular columnist for Vanity Fair, New York, The Hollywood Reporter, British GQ, USA Today, and The Guardian. He is the author of six prior books, including the bestselling Burn Rate and The Man Who Owns the News. He lives in Manhattan and has four children.